On March 13, 1997, near Phoenix, five — or maybe seven — bright lights appeared in the night sky in a “V” formation, like a strange flock of birds. Local news outlets were flooded with reports of what is now known as the Phoenix Lights, one of the more tantalizing “mass sightings” in the past few decades for those who Want To Believe. 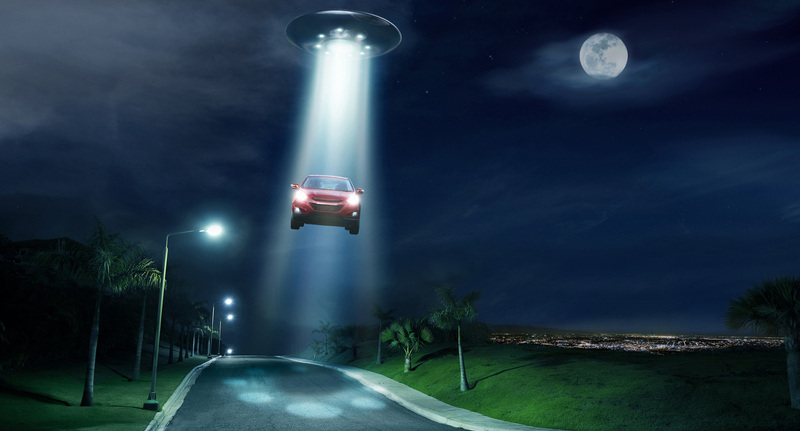 Sixty-four people reported the lights to the National UFO Reporting Center. But there’s another way to see the Phoenix Lights: According to a new map plotting more than 90,000 sightings from the National UFO Reporting Center’s database, it’s one of the most widely reported sightings of the past several decades. The interactive map, from Max Galka, plots each distinct sighting in the database with green and blue circles. Blue circles represent sightings reported by just one witness; green circles mean there are multiple accounts of the same event. The bigger the green circle, the more reported sightings there are of that particular event. Who knew the Chicago area was such a hotbed of UFO activity? Six of the 10 biggest UFO sightings on the map, as ranked by number of witnesses, were in Illinois, Galka noted in an analysis. The biggest was the Tinley Park Lights. UFO enthusiasts might know about them, but the Tinley Park sightings don’t even have their own Wikipedia page. The mass sighting in Phoenix is represented by that huge green dot in the southwest. In the interactive version, available here, the green dots are clickable. The map will then pull up all of the witness accounts that are available, along with any photo or video “evidence” of aliens among us. The database goes back nearly a century, Galka told The Washington Post, but the further back you go, the less complete it is. The National UFO Reporting Center started collecting first-person accounts about 20 years ago and accepts reports pertaining to any date in history. The data from recent years is much more robust, as witnesses can report what they saw shortly after it happened.